Nokia 2710 is another newest mobile phone which announced in 2009 december. it's a Navigation phone but has necessary features only. therefore is cheap. this kind of phone is very ideal for tourists if he can't find a GPS receiver in some country. 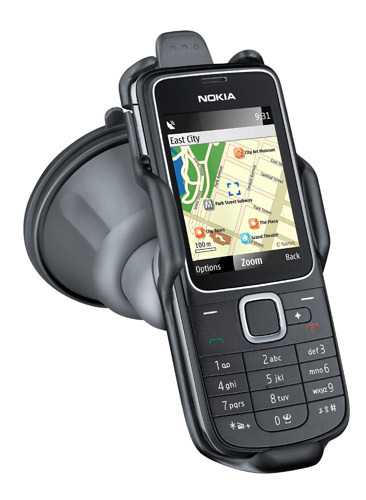 Nokia 2710 Navigation Edition is also a very good music phone. it has a 3.5mm audio jack and 64MB internal memory. also this phone comes with 2GB memory card and supports up to 16GB memory cards. also 3G is not available in this phone but it allows to connect to internet via EDGE. Nokia 2710 has a 2MP camera with video record support. the good thing of this phone is you get Nokia Maps with lifetime navigation license when you buy it.